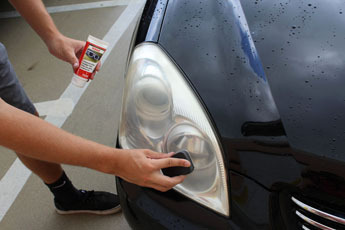 SONAX Headlight Restoration Kit restores cloudy, yellowed headlights in 10 minutes or less – no power tools required! 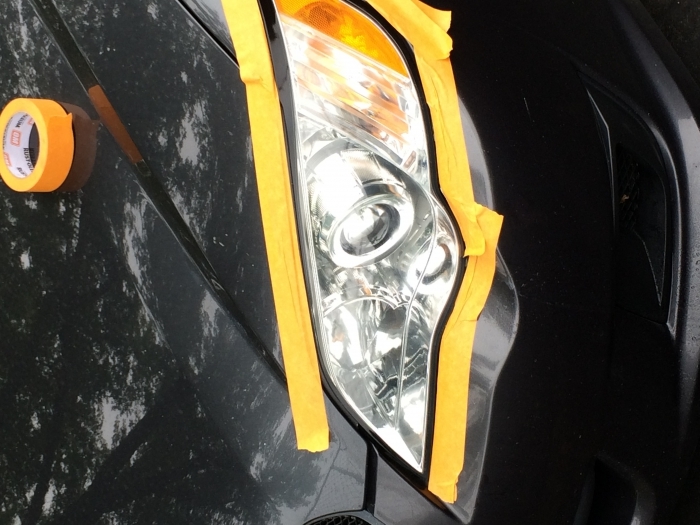 Designed for light to moderate yellowing/cloudiness, SONAX Headlight Restoration Kit provides TWO different approaches to restoring the clarity to your vehicle’s plastic headlight lenses. 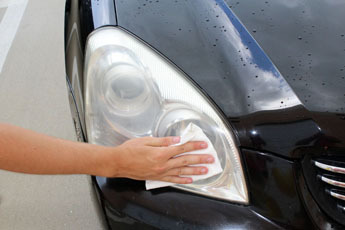 For light yellowing/cloudiness, simply compound and seal – two steps! 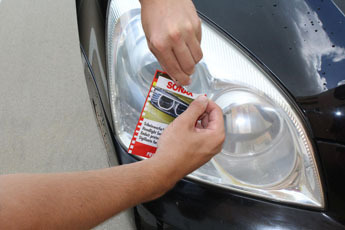 For moderate yellowing/cloudiness, use the included sanding discs as the 1st step. It’s so easy that ANYONE can do it, we promise! 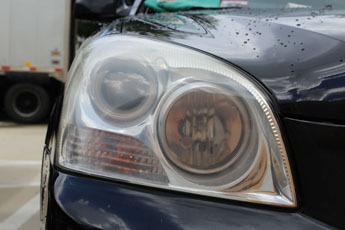 Today’s headlight lens covers are made of polycarbonate, a hard, impact-resistant plastic. While polycarbonate is more resilient than the glass lenses of several years ago, it can dull and yellow in a matter of 1-3 years. Most Americans own their vehicles for an average of five years. 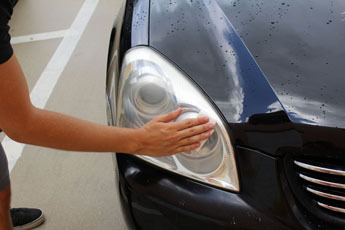 The average driver spends two years on the road with ineffective headlights! SONAX Premium Class Carnauba WaxSONAX Tire & Wheel KitSONAX Exterior KitSONAX Wheel Cleaner PLUS BundleSONAX Paint Protection PackageSONAX Swirl Removing KitSONAX Detail On-The-Go KitSONAX Insect Free Travel KitSONAX Premium Class Leather Care KitSONAX German Car Wash KitSONAX German Wheel ComboSONAX Autobahn Wheel & Tire KitFLEX XC3401 SONAX Perfect Finish Polisher Kit FREE SHIPPING!Flex XC3401 SONAX Swirl Removing Kit FREE SHIPPING! 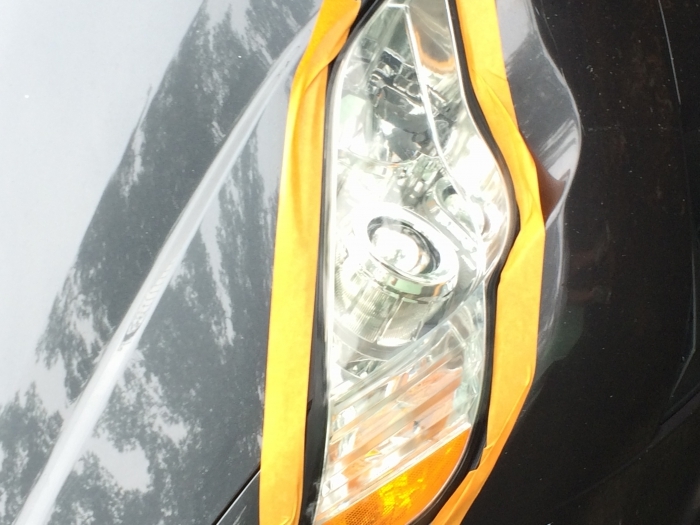 It did a fair job on my '92 Explorer, but they were so bad anything would have been an improvement. 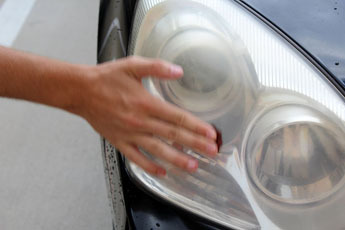 It didn't make any difference on the lenses of the daytime running lights on my '04 Yukon. Next time I'd buy a kit that might require a little more work, but I'm sure the results would be better. Easy to use. It works well.